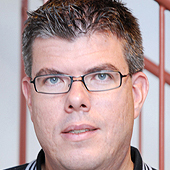 Krister Wolff is an Associate Professor of Adaptive Systems at the Department of Mechanics and Maritime Sciences (M2). His research interests are mainly focused on the application of artificial intelligence in various domains, such as humanoid robots, autonomous mobile robots, and self-driving vehicles, using machine learning and bio-inspired computational methods as the main approaches. He teaches within the international Master's programme in Complex adaptive systems. Since 2015 he is also serving on part time as a Vice Head of Department, for education, at M2. There might be more projects where Krister Wolff participates, but you have to be logged in as a Chalmers employee to see them.